Extra heavy-duty 25 pt. 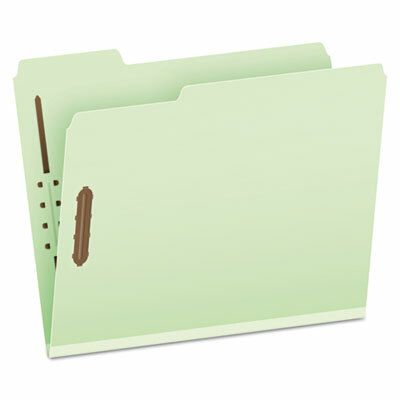 pressboard provides outstanding durability, safeguards paperworkideal for frequently accessed files. 2" capacity prong fasteners embossed into front and back covers holds papers firmly in place. Rip-proof tape reinforced gussets. Expansion: 2" Fastener Capacity on Inside Covers: 2"